Earlier this year I was tired and grumpy, and getting aches and pains all over; noticeably in my left knee. Now I am only in my 30’s (ok in the late 30’s now) so old age shouldn’t really be kicking in just yet and just put it down to me rushing around and not getting much rest. I had an appointment with the nurse for something and I just mentioned in passing that I have been having issues with my knee…that it can be painful going down the stairs and sometimes even hard using the clutch to change gears in the car when it is painful. She immediately suggested that I get my Vitamin D levels checked. And she was right…they were extremely low. As a Muslim woman who covers her hair and body, it can be hard to get exposed to the sun to get the Vitamin D so we in particular are likely to get low levels….at least 20% of your body (face, arms and legs) needs to be exposed without sun protection for at least 20 minutes per day. However with the lack of sun in general in the UK, Vitamin D deficiency is rising..even my husband who is out all day in his car was found to recently have low levels. Many people do not realise the importance of Vitamin D. It is vital for the development of healthy bones and teeth, a strong immune system and the maintenance of normal muscle function. In addition to this recent studies have also linked it to the prevention of colds and flu. If this is the case then that makes sense as to why I was constantly getting colds! Watch the video to learn about the symptoms of Vitamin D Deficiency. If you have any of the symptoms it may be worth getting your levels checked. Vitamin D is know as the ‘sunshine vitamin’ as being exposed to the sun helps increase the levels. 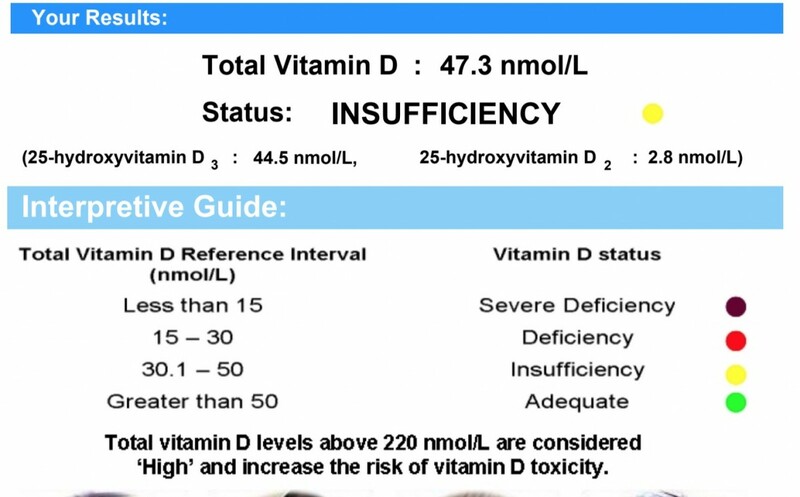 Although Vitamin D is in some foods it is surprising how much you have to eat before you would get the daily recommended amount of Vitamin D.
Obviously you can go to your doctor to get your levels checked, but you can also test the levels from home. 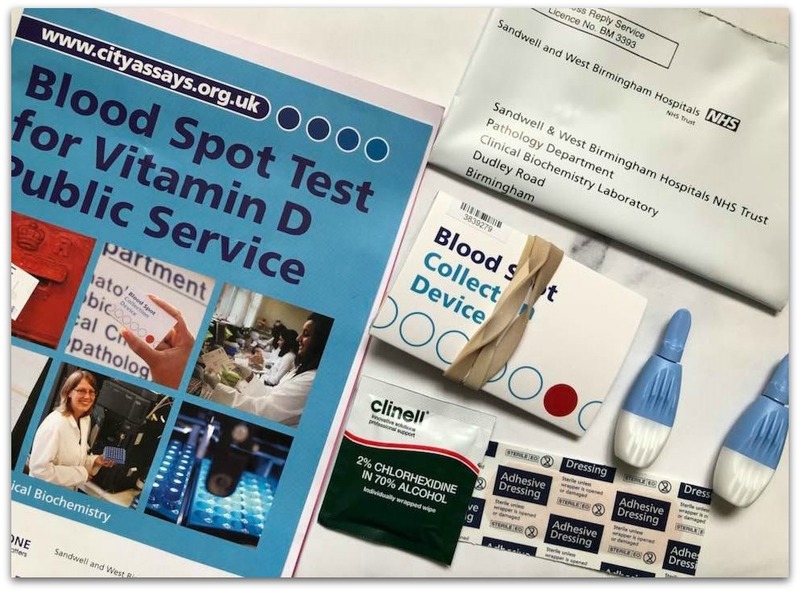 A partnership with BetterYou and Sandwell Birmingham NHS Trust allows you to test at home with a home test kit. The home testing kit costs £28 and involves a simple finger-prick test. The bonus with the home testing kit is that you receive a complimentary DLux Vitamin D Oral Spray at a strength relevant to your results. I was sent a complimentary testing kit to check my levels. The process was simple with clear instructions. I did the test on a Thursday and it was posted late on Thursday evening and I received my results on Monday via email. With the guide you can tell if you are deficient and by how much. With a result of 47.3nmol/L I am only just under adequate and thankfully am not as deficient as I was earlier in the year; when I was tested my levels were under 30. However this has shown me that my levels are going down again so I do need to take some supplements. 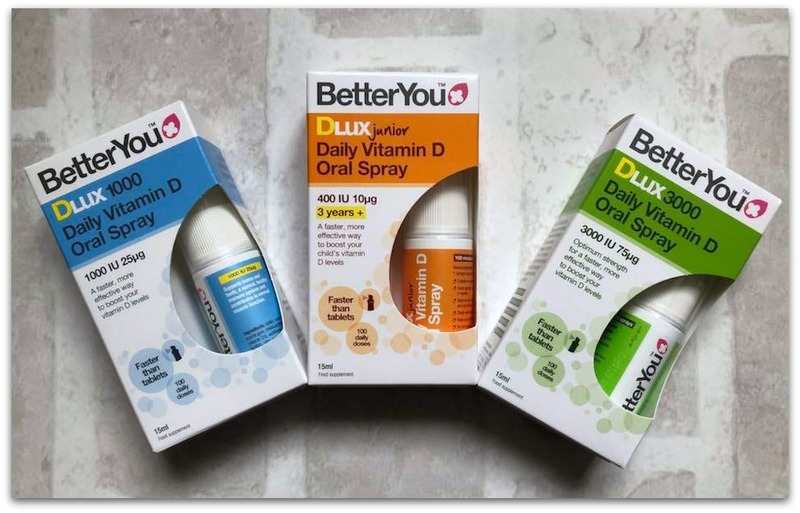 BetterYou have created some oral sprays to help you with your Vitamin D levels. Oral sprays help to deliver nutrients directly to the bloodstream via the soft tissue of your inner cheeks. Suitable for vegetarians and approved by the vegetarian society, they are also safe to use by children and pregnant women. During the Vitamin D Awareness Week they have 20% off the sprays. To find out more about Vitamin D Awareness week then take a look at their website: Vitamin D Awareness Week. NICE statistics show that Vitamin D deficiency affects over 10 million people in the UK alone, with 1 in 6 adults and 1 in 5 children suffering. That is quite high! Due to this the government has recommended that everyone takes a daily vitamin D supplement to protect bone and muscle health during autumn and winter. Disclosure: I was sent a home testing kit and some oral sprays to help spread the awareness of Vitamin D deficiency and awareness. Thanks for the reminder, I myself is experiencing the same symptoms as you mentioned in your post. I has no idea checking vitamin D levels could be done from home too as well as there are some sprays out there which are btw sounds very easy to use. Will.definitely be checking the above mentioned links. We have the same issue in Canada with very little Sun exposure. Even when the sun is out it is cold and we have to be bundled up! Also, as you mentioned the hijab doesn’t help much either! hahah! This is such an amazing reminder! Both my mum and I have suffered from Vitamin D deficiency and it’s crazy how it can affect your daily routine! I absolutely dislike sitting under the sun. Can not relax at all! Vitamin D is really important and easy to get but also something that I think many people forget. Last year when I was pregnant, I became very Vitamin D deficient and I realized it had a lot to do with the fact that I had barely been going on. I took supplements once a week and started spending more time outside. My levels did end up increasing. Thanks for raising awareness about this. Lack of vitamin D is something that so many women suffer from, especially us Muslim women that cover up.